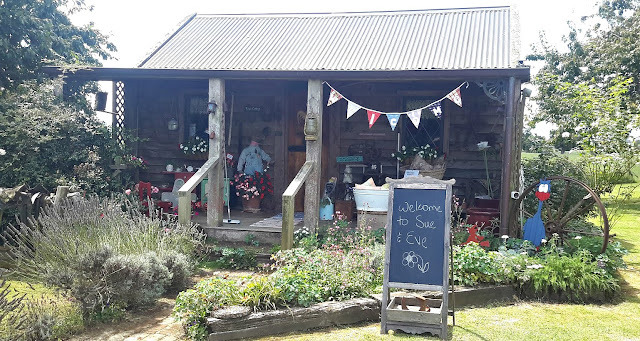 Sue is travelling through New Zealand with her lovely friend Eve. We had a long lunch together, chatted away just like old acquaintances, then a wander around the garden & a browse in my Cottage. It had seemed like a verrrry long time ago since Sue first emailed me to say they were coming to New Zealand & arrange to visit. She bought me some beautiful treasures ...... a gorgeous bundle of lace doilies, a heavy crystal sugar bowl & dainty salt pot. I am thinking the sugar bowl will look rather lovely filled with a handful of my rose petal potpourri. Thank you SO much Sue & Eve for your visit .... after corresponding via our blogs for a long time, it was wonderful to finally get to meet in person. A customer came out to buy a wheat bag from me & I had Not One Single One left in the Cottage ! So I hauled out my large bag of wheat & made some up using a few of my Cath Kidston remnants - the customer wanted one as a gift for her brother so the Ford Vintage Car fabric was perfect. This pink spotty set was sitting around waiting to be embellished . . .
so I appliqued a set of angels onto the teatowel, oven mitt & potholder . . .
. . . & packaged them in cellophane ready for sale. I find February/March are always considerably quiet times in my little Cottage as school returns & bills from Christmas arrive, so this is always a good time to restock the Cottage with some basic items. the latest batch of abandoned kittens went to the Animal Care Shop this week !!! Although it took me 10 days of feeding them, to quieten & encourage them enough to actually get them into the cage .... 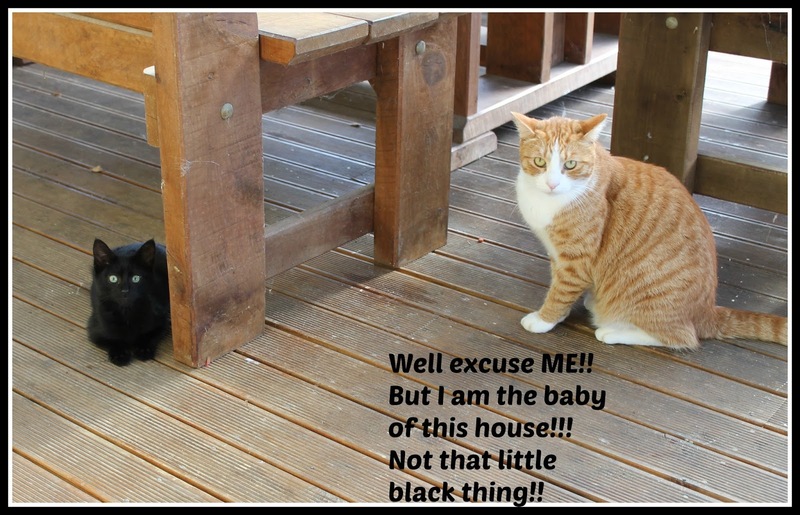 The Mr became rather concerned when he heard I had named them both !!! Yes we are a typical farm house & always have a selection of footwear at our doorways !!!! Little Sooty looked to me like she belonged on the back of a witches broomstick !!! She was definately alot more friendly than Sweep, who preferred to stay at a distance. When the Mr took them into the Animal Care shop, the lady that fosters kittens took them home to quieten them even more before being rehomed. When they left I felt such a mixture of sadness AND relief .... but someone else was certainly happy to see the back of them & could rest easily again !!! Utter Princess that she is !!! 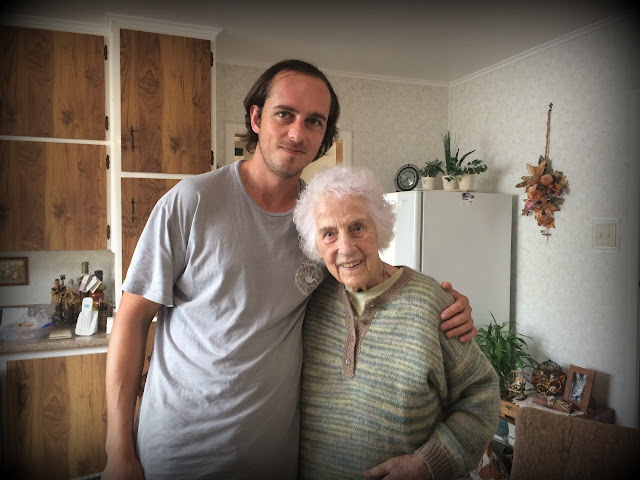 I love this last photo . . . . my beautiful natured, kind & caring youngest son Kayne, who drove 4 hours to visit his Nan, to repair her fence, repair her roof & take her grocery shopping, then drove home again. Kayne becomes a Dad next month & I am sure he will make the most wonderful Father. 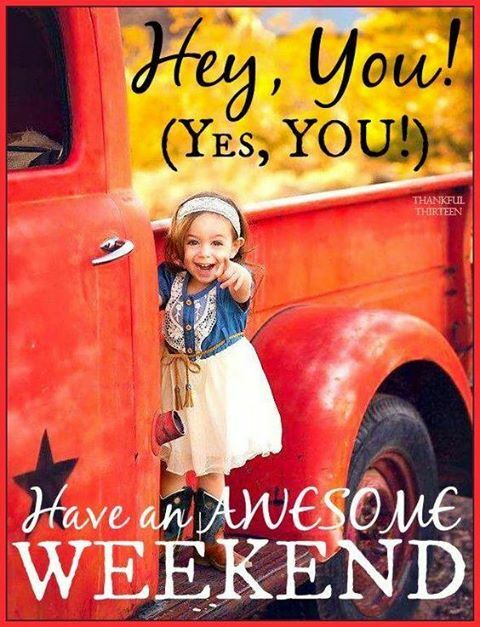 I hope you are having a lovely weekend dear friends & that the week ahead is good & kind to us all . . .
Hi Julie how wonderful that you and Sue got to meet up. Oh what a beautiful son you have and i wish Kayne all the best with his little one coming. 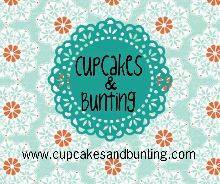 I love all the goodies you have filled your shop up with,hope you have a lovely Sunday. Isn't Sue lovely? I'm so pleased you got on so well - and what a treasure she was to bring you the lovely gifts :-) Kayne sounds like such a caring lad (that is a gorgeous photo of him and his Nan) - and how exciting there will be another baby in the family! Lovely visit with another super awesome blogger! Sue is a gem. Your son is sweet heart, seems he will make a fabulous caring father. Love the other generation, trying to grasp technology............like when one says: "I got it from the line" ........meaning on- line, always makes me laugh! It's so nice to meet blogger friends, especially when you've been connected for ages over the net!!!! I have met a couple of bloggers, and I know the feeling!! 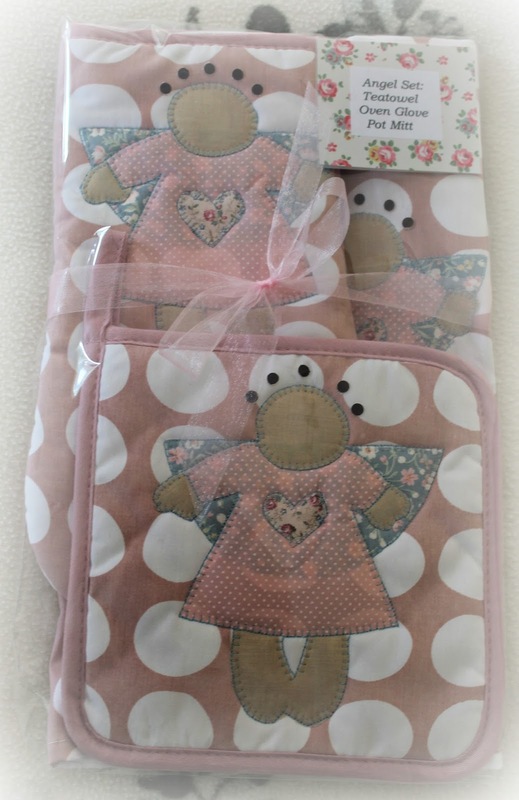 Love the goodies you received and those tea towels are just too cute. The Princess knows who's in charge....lol. Have an awesome week. You are SO right E.E. It sure IS the best !!!! Wish we didn't have the great big ocean in between us !!! Annie and Audrey..Oh! and little Simon...HeHe! Then fly back to Wales..if l can get a permit! :). owners are about...l'll say hello to them to....! Kittie~Kitties come first! What fun! :0). it's way. Lovely photo of Kayne with his Nan..Lovely! Hello Yvonne, thank you. Do you mean the pink polka dot set?? It is just a heavy weight cotton I have used. When I had little Sooty around, I was emailing Willie & I told him that she did remind me of your Cobweb. Just so gorgeous. what a good son you have - and a lovely picture of him with is granny. Good luck with the new baby/birth hope it comes on time and smoothly. Nice that you have met your blogging friend, I am popping over to see her blog. Hello Betty, thank you. Yes Kayne has grown into such a kind hearted young man - he will make a wonderful Dad I am sure. 'WILLIE' just said it all! 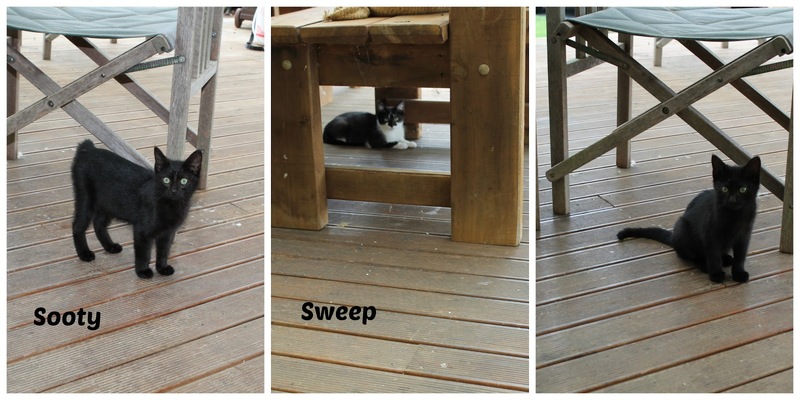 Oh, the kittens! So spunky! I bet your fur babies are greatly relieved that the cute little houseguests have moved on. It was fun to see your cottage on your Oz buddy's blog. How lovely to have some Aussie gals visit your lovely cottage. Wish oh wish this Aussie gal could swing by your way one day. =) Those dresses are very pretty. I don't wonder you have sold them. What a sweet son you have raised and how exciting he is soon to become a dad. Such a lovely photo of he and his nan together. Have the most wonderful week, lovely Julie. ......oh dear, I forgot to say how amazing your little cottage is. So, so many gorgeous pretties for sale. I did not realise that it was filled to the rafters with all your makes. Oh my goodness, you have been busy! One could spend a lot of time (and money) in that gorgeous little cottage of yours, Julie. I am starting to wonder if you are the Kihikihi SPCA Julie!! 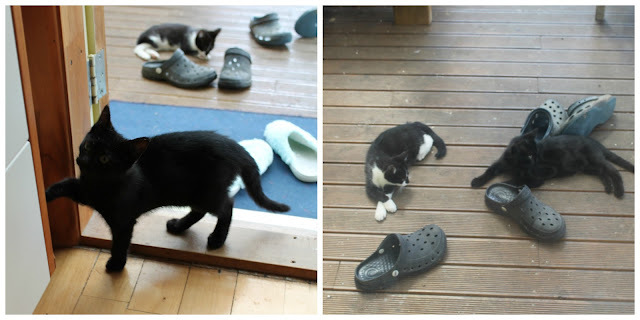 Lucky I didn't visit or another baby could have come home with me, think my mister would have stomped his feet tho'. Don't you love getting to meet other bloggers, that is how I met you after all. Lovely photo of your son and mum. Thanks so much Chris - it was wonderful to meet Sue in person after corresponding for so long. Your son sounds like a wonderful young man cleaning his Nana's unit!!! Gosh, thats great Chris. How kind & considerate of him. Wow you have been busy! Love the hand towel dresses they are cute! And another grand baby! you lucky lady you! You have a great son to travel and help out his nan! It is so nice to meet blog friends, sounds like it was a great day!! Thank you for the wonderful welcome and lunch you gave Eve and I, we had the b best time meeting up with you. Love your cottage, Eve so wanted the gollie wheat bag, but thought it would not get thru customs. You have been busy creating more wonderful things for your cottage. 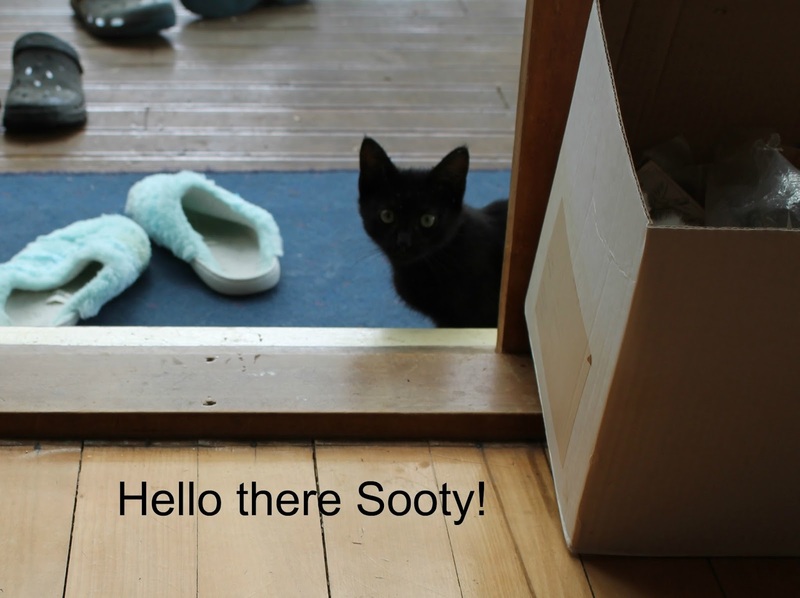 Sooty and Sweep are so cute.....stray cats know where to head for now don't they!!!! Y I ur son is a wonderful young man a Julie, very kind and considerate. ....he will make a fantastic Dad. Good to see Miss Princess Pippi is back in her rightful place!! Was wonderful to finally meet you in person. Is it not lovely to meet a fellow blogger? :) the blogging community is full of such wonderful people!